A less common – and maybe unexpected application of the Luximprint process is the rapid fabrication of soft mold tooling. In addition to optical clarity, not that critical at this side of the business, the process offers a perfect surface smoothness straight from the printer. There is NO need for post-processing the surfaces, such as grinding or polishing them. 3D printing of the mold tooling (negative) rather than the end-product itself may bring significant advantages for fast trial-and-error of different materials, or for exact part replication. 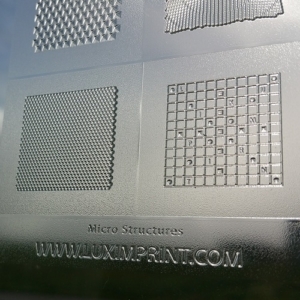 One of the core benefits of the Luximprint process is ‘smooth surfaces straight from the printer’. While this is a must for optical plastics, there are some other process applications that immediately benefit from it: molds and tools. 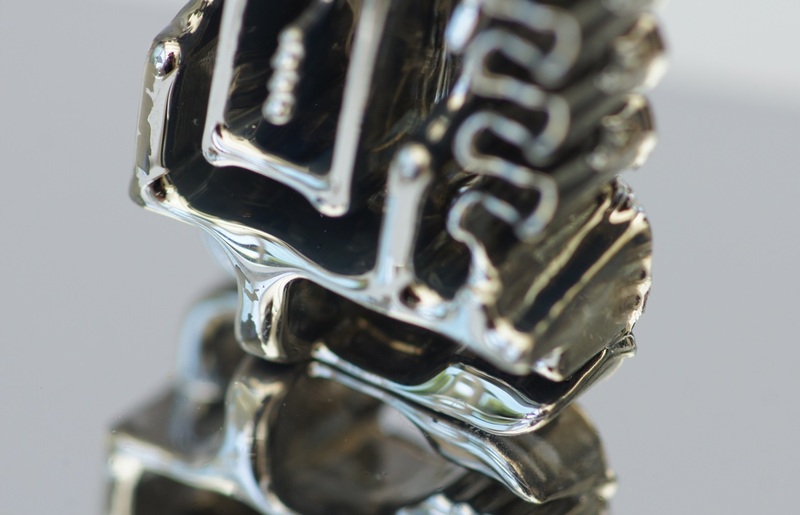 Where it is impossible to post-polish certain 3D printed parts with conventional 3D printing, here it becomes possible to reach out to areas that cannot be polished but still appear smooth for further processing. Where the optical clarity of the product is not essential any longer, production speed, time savings and surface smoothness remain. ‘Smooth’ and ‘accurate’ are the buzz words for our additive manufacturing process when it comes to tooling fabrication. 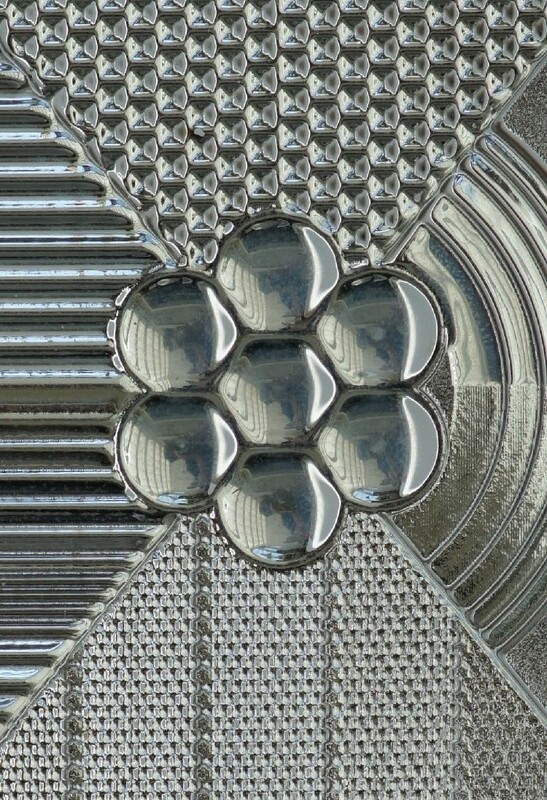 The smoothness as achieved by the Luximprint additive manufacturing process adds an interesting new perspective for rapid prototyping: on the contrary to the end part, the fabrication tool for the part itself is printed and then finally injected with another material. For non-plastics industries, such as chocolate tooling fabrication, this is an interesting advantage as it cuts away significant processing cost. In fact, any industry where difficulties are faced with 3D printed mold roughness, the smoothness can create a difference. One interesting feature, directly inherent to the product smoothness, is the exact replication of parts: the original printed masterpiece imprinted into ceramics or plaster, and then use that ‘negative’ as tool for injecting other materials. We are truly impressed by the surface smoothness and accuracy the Luximprint process offers in one single process. Where conventional machining or thermorforming technologies take significant efforts, we save valued processing time with this novel AM process. Having my sample molds printed and coated rapidly at Luximprint enabled met getting my project funded right before the deadline. I am impressed by the process capabilities and will get back to them as soon as my project starts to move! Did you know that our 3D printed mold tools can be coated for an even better performance? Please refer to our coatings application page for more details. 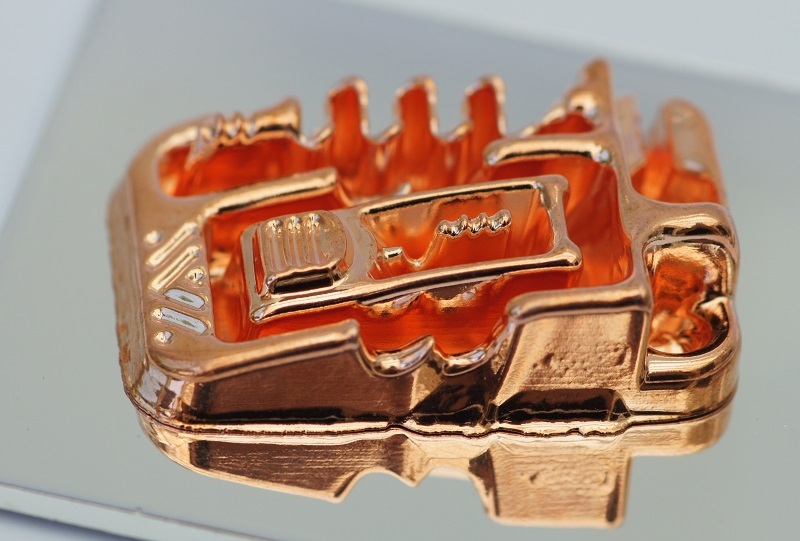 Printed Luximprint mold tooling can be coated to demand. 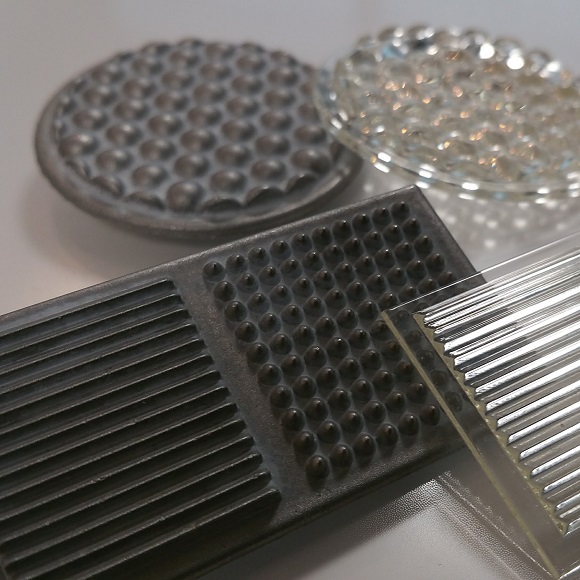 Common coatings, such as aluminum-reflective, gold or copper are used to protect the mold tooling surface, increase the lifespan or enhance performance in a specific part of the light spectrum.